Cory Band are very pleased to announce that Matthew White is their new Principal Euphonium player. 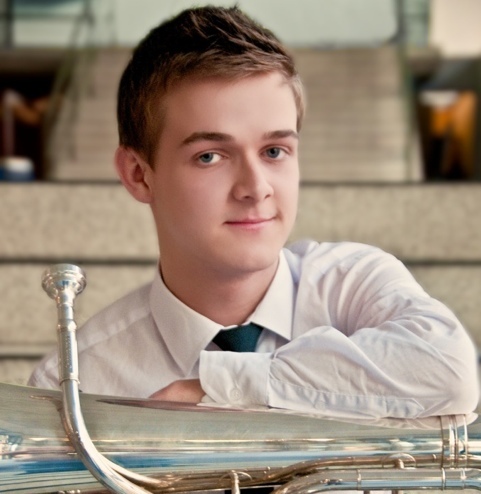 Matthew has an impressive pedigree; he attended the Chetham’s School of Music from the age of 10 and was also a member of the National Youth Brass Band of Great Britain, serving as Principal Euphonium for three years, winning the Harry Mortimer and Katie Ogden Solo Awards. He was the BBC Radio 2 Young Brass Soloist of the Year in 2010 as well as the Black Dyke Young Artist of the Year, and the winner of the Solo Award at the Brass In Concert Championships, held at the Sage, Gateshead. He is also a Besson Artist who has played in many prestigious events, including BBC’s Friday Night is Music Night.